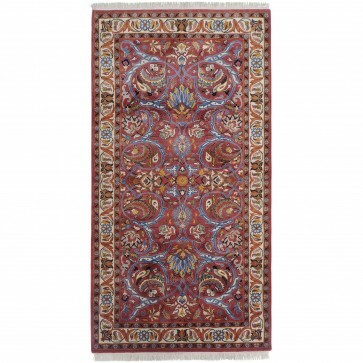 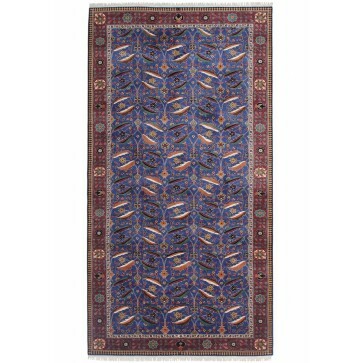 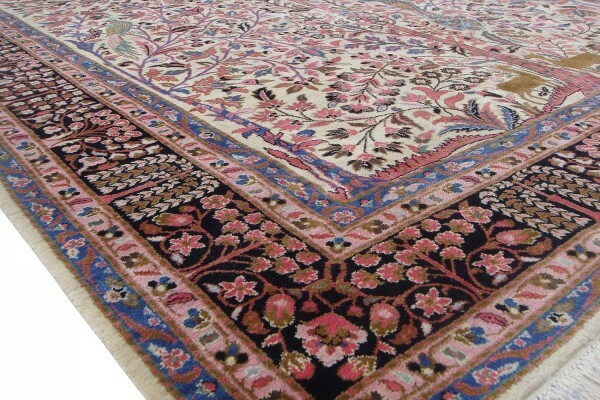 A hand woven carpet with pure silk pile woven on a cotton foundation to 256 knots per square inch. 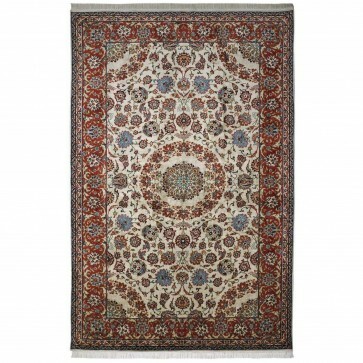 A hand woven carpet with pure silk pile woven on a cotton foundation to 256 knots per square inch. 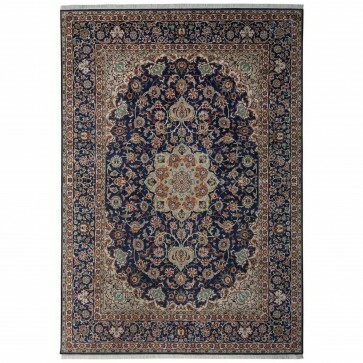 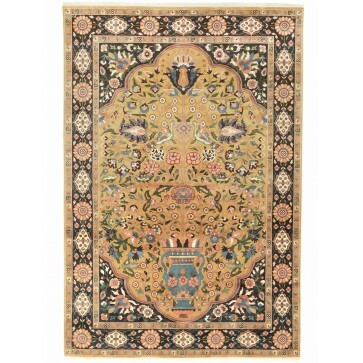 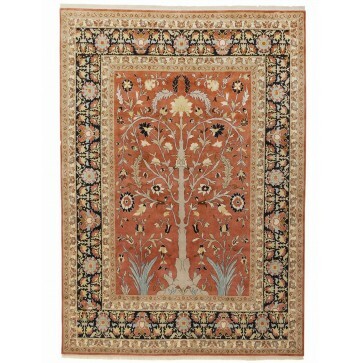 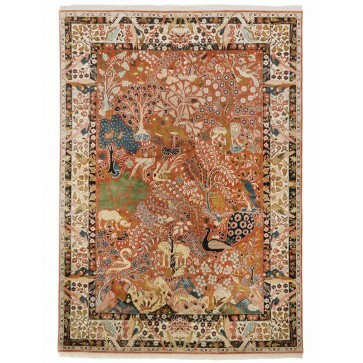 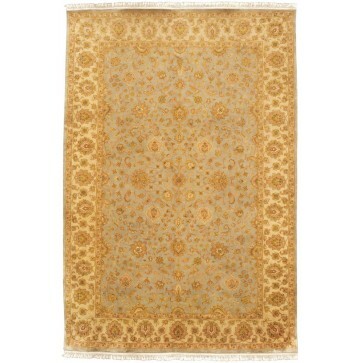 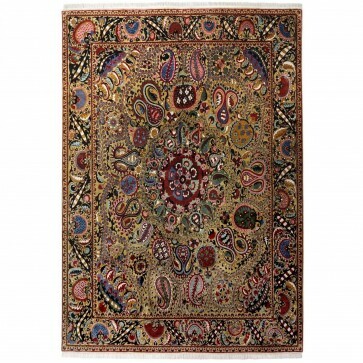 Based on an original 19th Century carpet from Tehran, only found sporadically due to the fact that court manufacture founded by the Qajar dynasty, and perpetuated by the Pahlavis, had little commercial significance. 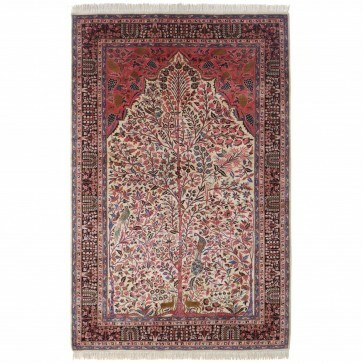 Therefore, designs such as this garden of paradise have special importance for the collector. 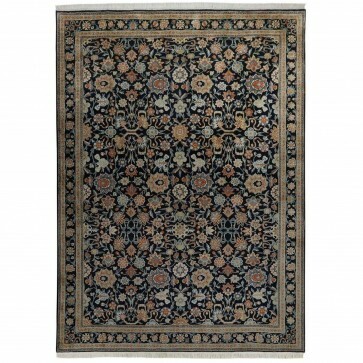 The paradisiacal motif is continued into the wide ivory border that provides an effective frame for the vibrant blue of the field.